As women have gained certain measures of equality with men, it is easy to assume that gender inequality is now an outdated concept. This book looks beyond the equal opportunities’ statistics to the ‘quality’ of equality. Why, for example, when women achieve positions high up the hierarchy in organisations does equality entail imitation and adoption of prevailing values instead of imaginative or innovative alternatives? Why do women continue to uphold the same models of power? 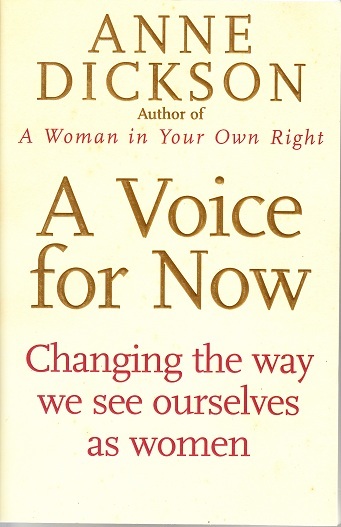 A Voice For Now is a wake-up call to women of all ages to look beyond the personal; beyond self -image, beyond individual frustrations and achievements to recognise what has fallen out of balance in the world at large. It is an appeal to women to move from a merely reactive to a proactive role in their contribution to the overseeing of our planet. 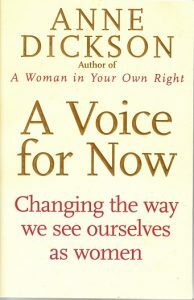 It urges us to see the bigger picture and for the sake of all we love to speak up and make a substantive difference.